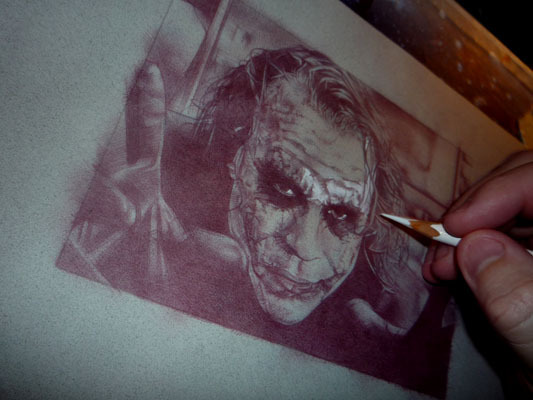 Back to work on the Joker. Getting the book done and out the door has been a huge load off my mind. I didn’t realize I was thinking about it so much till it was actually done. I also wanted to welcome aboard Brandon Kenney - Link another great card artist that I noticed joined the follows box on my site. I’m getting quite a rouges gallery of artists developing here.